It was 200 years ago that William Mattingly, his wife Sarah (“Sally”), and his faithful dog Schneider left their home in western Maryland and headed out into what was then the wild west: modern day Ohio. Only thirty years before, the Declaration of Independence had made history. Ten short years before William’s departure, Lewis and Clark had made their famed expedition across the new nation. …[William] started out into the wild west to make his fortune. The entire make-up of his caravan consisted of himself, his wife, his horse, his trusty rifle and his ever faithful dog, Schneider. He set out on the old trail leading to Pittsburgh, thence westerly to the Ohio River. Here, with the assistance of some friendly Indians he was ferried across at what is now called Bridgeport, Ohio. 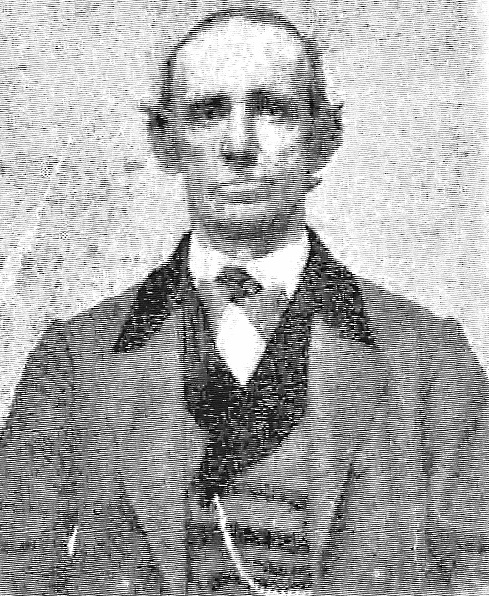 William eventually settled in Muskingum County, Ohio, giving his name to what would become known as Mattingly Settlement. He was joined by other family members from Maryland who hoped to find the same success in farming there that William had found. 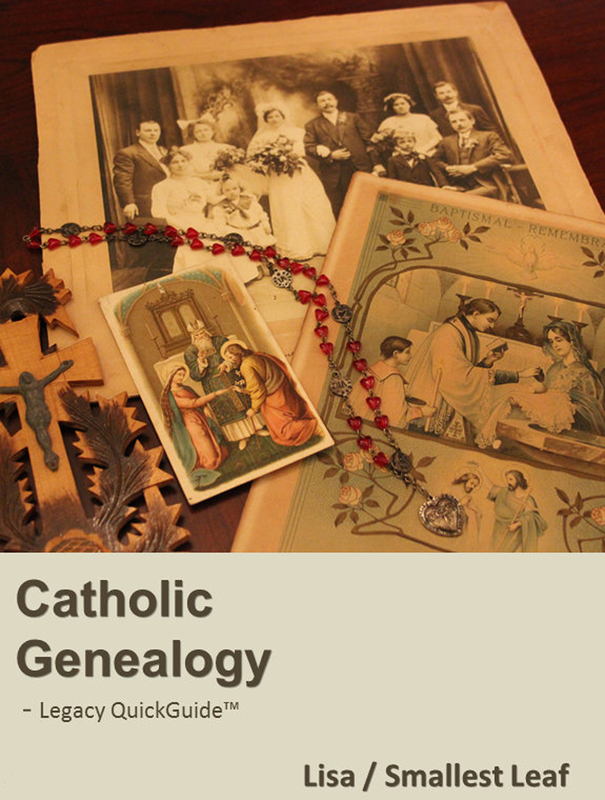 The Mattingly family had a strong Catholic identity that had its roots in many generations of faithful ancestors before them. Thomas Mattingly and his family were the first of their clan to arrive in America (around 1664). They had left their home in Mattingley, England in search of freedom to practice their Catholic faith. Although the first generation of settlers found religious freedom elusive in 17th century Maryland, they managed to continue to practice their Catholic faith. This was partly thanks to their move to western Maryland, which was out of reach of the enforcers of anti-Catholic laws. The faith of their forebears was important to the descendants of those early Mattinglys. They had moved their families across the Atlantic and then across the colonies in search of religious freedom. William Mattingly was no exception. Yet after his move to Ohio, it would be four decades before he and his family had the convenience of living close to a Catholic church. For the first seven of those forty years, the family had no opportunity to receive the sacraments. It was only when missionary priests began to visit the area that their three eldest children were able to be baptized. By 1820, the Catholic families in the area were able to gather regularly for Mass, although getting there was quite a journey. According to Rev. Julius Mattingly, William “was a devout Catholic, never missing Mass on Sundays, making the trip to Zanesville (10 miles distant) every Sunday”. When in the 1840s the church in Zanesville needed expansion and the project ran low on funds, it was William Mattingly who put up $3,000 to furnish the interior of the church. (This amount is equivalent to at least $70,000 in today’s dollars.) William also donated $1,500 for a church bell a few years later. 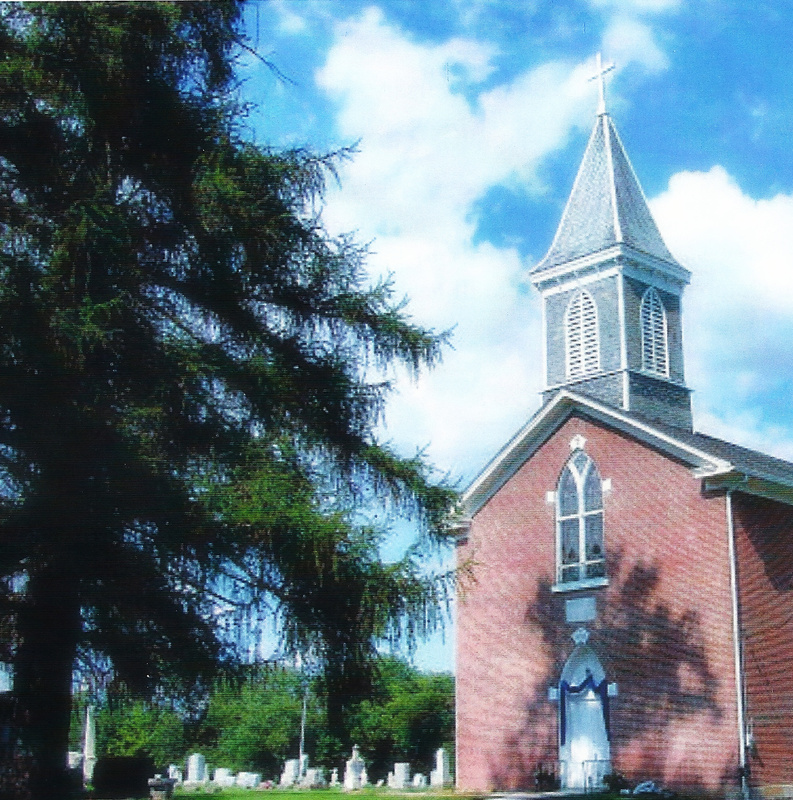 In 1855 the Catholics of Mattingly Settlement in Muskingum township received the go-ahead from the Bishop to begin work on their own local church: St. Mary’s (Church of the Nativity of the Blessed Virgin Mary). 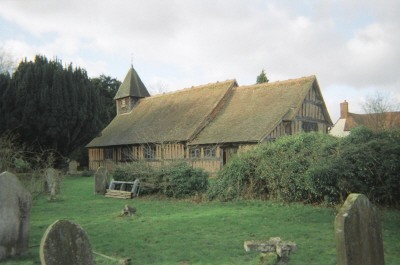 The church was placed on William Mattingly’s plot of land (though officially donated by John Mattingly, who had purchased it the same day from William). When not occupied on their farms, members of the congregation worked vigorously to build their church. Clay was removed from the field with which bricks were made. These bricks were fired just north of the church and the lime for the cement was made in the adjoining field. When the exterior of their new church was finished in April 1857, the parishioners of St. Mary’s laid to rest their first member in the cemetery within its grounds. It was only fitting that this man was William Mattingly. He died at age 78, having lived to see the Catholic church of Mattingly Settlement almost to its completion. St. Mary’s would serve William and Sally’s descendants and numerous other families who followed their lead, settling in Muskingum township and practicing the Catholic faith that so many generations of Mattinglys have so deeply treasured. Congratulations to the Mattingly family descendants, who will celebrate the 200th anniversary of William’s settlement in Ohio at the 2012 Mattingly Family Reunion at St. Mary’s Church this weekend. *Several of the books listed above will soon be available on this Mattingly Settlement webpage free of cost in PDF form. Ohio has a strong history of Catholic faith tradition. In fact, just this summer one of its churches (c. 1823) was elevated by the Vatican to the level of Minor Basilica, one of just seventy-four in the United States. For more information about the newly renamed Basilica of St. John the Baptist in Canton, Ohio visit this article. I loved reading about my family. I’m a descendant of William and Sally Mattingly. One of my many fondest memories of childhood was spending time with my Grandmother and 200 of my “closest” relatives in August. At the time, I did not realize how special our family connection really was and how important it was to my Mother, Rita Mattlingly O’Neill. My mother would faithfully pack up her 5 children, dog and often her Father in law and travel from NY to attend the reunion with her Mother who lived in Zanesville. She continued to attend well into her 88th year. Many of those years she attended alone and drove herself across Pennsylvania well into her early 80’s. When she realized it was hard to drive by herself she enlisted her children to attend. Her youngest son, volunteered many years to get her to Ohio, knowing how important it was for her to attend and spend time with her cousins and their children. It wasn’t until last year, when my sister and I were able to bring my Mom to Ohio with our youngest daughters did it hit me. Family is everything. Not everyone celebrates family by getting together every year in one designated area on one designated weekend. The second Sunday of every August. Sadly, this spring our mother passed away. We all made the voyage back to St. Mary’s and the settlement to bury her along side her parents. And this August, my sister and I and our youngest daughters made the Reunion not knowing that it had been 200 years since William Mattingly settled in America. Our youngest daughters, 12 and 14 somehow realized earlier then myself, how special it is to reconnect with family. And look forward to the next reunion. Thanks so much for sharing your connection to Mattingly family history, Sheila. I’m glad you rediscovered an appreciation for your extended family. I am not related to the Mattinglys, but a close friend who is related (and attended your reunion this month) shared his family’s story with me. Yours is a long and inspiring legacy of faith-filled people who braved much so that they could continue to practice their faith, and who continue to gather as a community so many years after many other families have lost touch with one another. I’m so glad that you were able to reconnect with your family’s history and continue your Mom’s beloved reunion pilgrimage this August. I’m sure she’s smiling from Heaven. You might also be interested in learning about St. Francis Xavier Church in Leonardtown, St. Mary’s County, Maryland. It is the oldest Catholic Church in the original thirteen colonies (founded in 1640), and has lots of Mattingly history. Thanks again for taking the time to leave your comment. My hope in writing this article, this blog, and my own personal family history blogs is to encourage others to rediscover and continue to treasure the legacies that their families have left behind. I’m glad your daughters have gotten inspired!